“By some estimates the NLF controlled as much as half the population in southern Vietnam by 1963. So for the peasants of Sout Vietnam the appeal of the National Liberation Front (the Viet Cong to Americans) lay in that it enacted lower charges on them than the combination of the Saigon government and the government-backed landlords had done and furthermore addressed the problem of land theft by feudalistic landlords by dispossessing them in favor of the legitimate owners — the tenant farmers. Additionally, while for the ARVN draftees a longer leave of absence was exceptionally hard to get by, the NLF would normally release its cadres for planting and harvest seasons so their fields could be tended to. 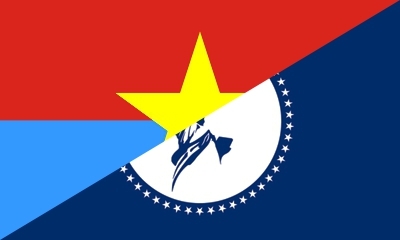 In other words the reason the Communist-led NLF could win the support of the social class that would grant it most of its strength was in large part due to it demonstrating a greater practical commitment to the ideals of low taxes, landed peasantry and personal liberty than the nominally capitalist-aligned government in Saigon. It would be interesting if you wrote more about this. It would be especially interesting to see how far corporatism has gone towards promoting communism, and how far populist uprisings in the past have utilized libertarian ideals. Well, for me the point is the NLF like most organized movements of the past was one that had both positive and negative aspects. But it was undeniably an organization with mass support, so I am happy to stumble upon information that hints to it being massively supported for its positive aspects, rather than for its negative aspects. I am not really interested in making an apologetic for the Viet Cong, but more so for the common people who got behind it. Not that they need one, but it’s not like there’s anything wrong with redundancy. Could you provide a pointer to the history of the land theft? It’s somewhat unclear as many sources assign the responsibility almost exclusively to the French such as here, when it should have been clear the situation preceded them. It seems Vietnam had always been a feudal society with the French period then reshuffling, to a degree, membership in the landlord elite and intensifying the exploitation with further expropriations.